A Mexican is thrown out of a bar by a young prospector and swears to get even. Later he kidnaps the prospector's wife. 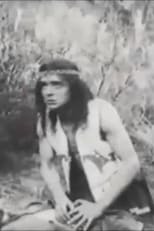 In the meantime a group of drunkards shoot and kill an old Indian man. His son (Robert Harron) vows revenge and asks the tribal chief for help. The chief, however, knows better and tells him that revenge is useless. Robert Harron disobeys and mobilizes all young warriors for battle. The plot thickens. The prospector and the Mexican, who holds his wife captive, start shooting each other. However, when the Indians attack, these two make a temporary truce and join forces against the common enemy.